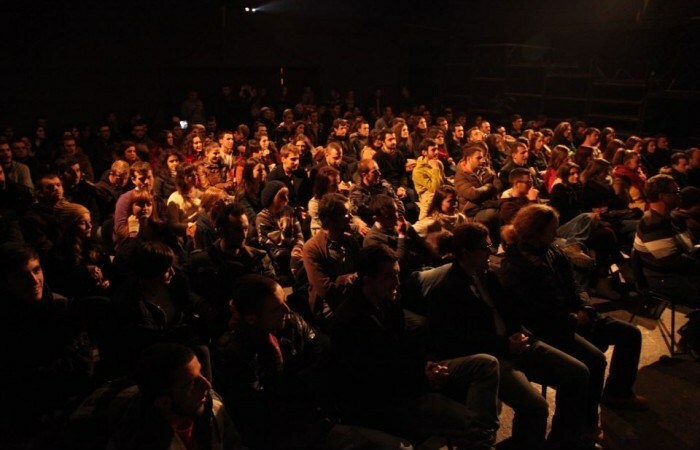 There were not enough chairs at Oda Theatre for all the people who participated the tenth edition of BarCamp. More than two hundred people attended this event, which also included the Speedgeeking, a pre- event of Wiki Academy Kosovo. During the Speegeeking the potential participants of Wiki Academy Kosovo had the opportunity to meet each other, discuss their ideas, and create teams. Just after that, the transformed Oda’s hall seemed too small to fill the number of people who attended the event. The co-founders of Crème de la Crème, and TekFuze were the guests for this evening. They shared with the audience their personal and professional life, which aroused the curiosity of people and made them get involved in the discussion section. Crème de la Crème founders: Making difference, succeeding! Glen Nobel was the second speaker of the evening. He spoke about the Genesis Technology Centre establishment, and also about the initiative to establish a business in the electronic industry called Tekfuze. “The beginning of a business like this is not easy. That’s because the faculties in Prishtina are focused more in theory than in practice. However, diligently, I think that we are able to bring innovation in the West European and American market”, he said, adding that now they are able to create 300 new jobs. Medial sponsor of this BarCamp were Telegrafi.com and Digjitale.com. For further details please see the link https://www.facebook.com/BarCampPrishtina and Twitter: #bcprn.